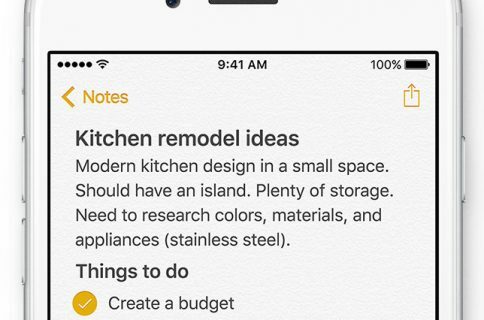 The ability to lock notes in the Notes app for iOS and Mac is a handy feature. You can keep prying eyeballs off of notes that you don’t want anyone to see. But, if you don’t use the feature often, it can be easy to forget the password that you set up. So, now you create a new note that you want to lock but can’t because you forgot the password. 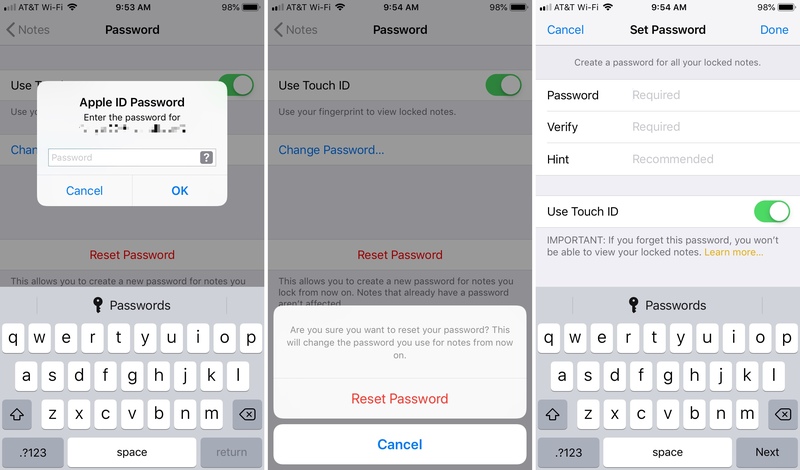 Luckily, there is a way to reset the Notes password on iPhone, iPad, and Mac and here’s how. 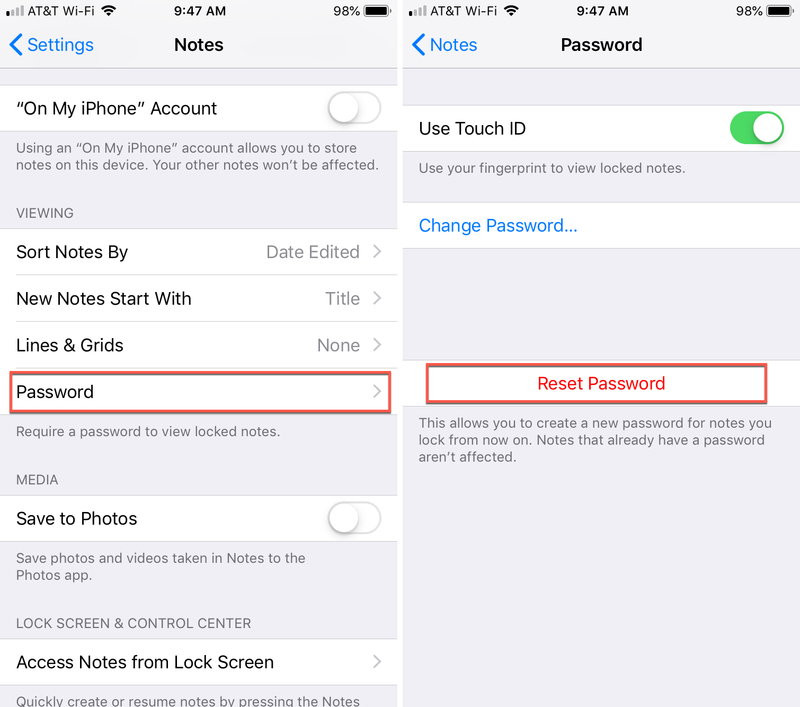 Resetting your Notes password on your iPhone or iPad is really simple. Just follow these steps. 1) Open your Settings and select Notes. 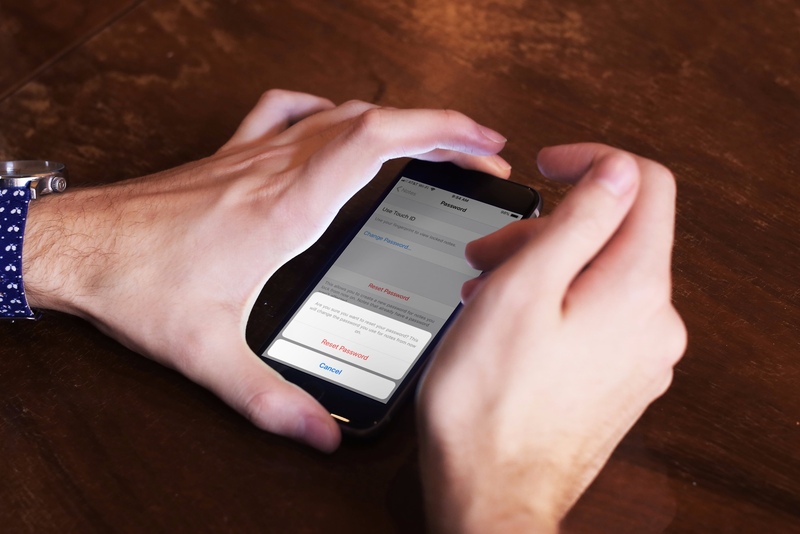 4) When prompted, enter the password for your Apple ID and click OK.
5) Tap Reset Password once more. 6) Complete the Set Password section and tap Done. 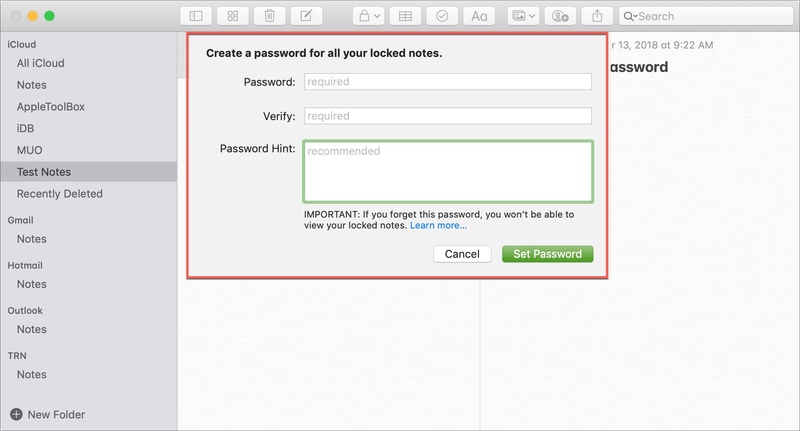 If you need to reset the Notes password on your Mac, it’s just as easy. Start by opening the Notes app. 1) Click Notes from the menu bar and select Preferences. 2) Click the Reset Password button in the pop-up window. 3) To confirm, click OK on the Reset your password? pop-up. 5) Click the Reset Password button once more. 6) Complete the Set Password section and click Set Password. 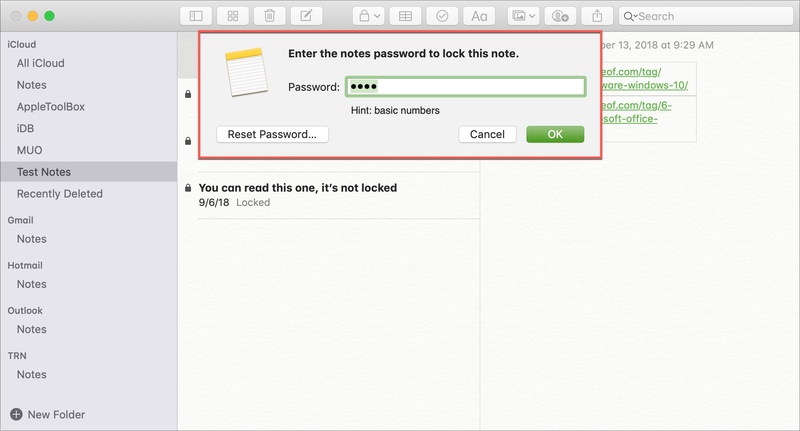 On your Mac, there is another way to reset your Notes password if you think you might know what it is. 1) If all notes are locked and you try to lock a new note, you will be prompted for the password. 2) Type in what you believe the password to be and click OK. If you don’t get lucky and remember it, go to the next step. 3) After three attempts of entering a wrong password, a pop-up will display showing your hint if you entered one originally. You will also see and should click the Reset Password button. Then, just follow the same Steps 3 through 6 above to complete the reset. As you will notice on the prompts when resetting your password, it will only apply to notes that you lock moving forward. Any existing notes locked by a password will not be affected. So, if you follow the steps above to reset your password, it’s highly recommended that you include a hint. This way, if you cannot remember your password the next time, at least a hint might help. The Notes app has some nice features aside from locking notes. 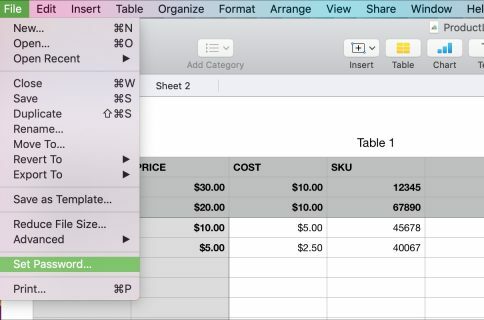 You can share them with others, add tables for organization, and even use lines and grids for easier viewing. 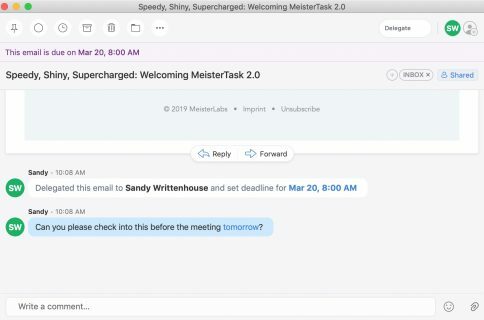 Is there a favorite feature of the Notes app that you enjoy? Let us know below!